EARLY ONE SEPTEMBER NOT long ago, a rural woman with a secret grief traveled to New York City in pursuit of a dream, to buy the most beautiful and correct dress she’d ever seen. The occasion wasn’t a joy trip. Without tremendous effort before her trip, and a lot of luck, the dress was hardly anything she could have ever afforded. As for going to New York City, where she’d never been before? It was a terrifying prospect, dangerous and disorienting, but she did it. The dress wasn’t at all what you might expect. It wasn’t a riot of feathers and chiffon. It wasn’t designed to catch a man or reawaken her youth. It had nothing to do with a paparazzi-lined red carpet or the glories of shopping, “It” bags, “It” designers, or must-haves. The dress—and the lady’s use for it—was something else. This daring voyager was Emilia Brown, or Mrs. Brown as she was generally known in her hometown, Ashville, Rhode Island. She was sixty-six years old, a widow; if she was a scent, she was tea with honey, but if she was a color, she was a study in gray. Whether from the friction of living without life’s buffering luxuries and engaging ambitions, or by the reduction of dreams and expectations that comes with age: gray. Mrs. Brown was drained of color. Except for her green-brown eyes. If and when she smiled, well, it was like watching a rose open in one of those time-lapse films, and her eyes, spring flowers at twilight, lit up her face. To say that she was overall gray isn’t to say she was a sad sight or threadbare. It’s just that in a world where status is measured in how much space one takes up and how much noise one makes—and noise takes up its own kind of space, as any pollution does—a quiet person like Mrs. Brown falls invisible. Mrs. Brown was genteel. That’s not a word used much anymore, except maybe when people talk about some of the characters on PBS shows. As it relates to Mrs. Brown, it signifies a graceful way, someone free from vulgarity and rudeness. Aristocratic in a manner having nothing to do with money, fame, and celebrity. Nor is saying that someone is genteel necessarily the same as saying that someone is humble. We put so much stock and pride in being humble these days that humility has become a brand, not a state of grace. Mrs. Brown has a noble spirit—the honorable loneliness of the American grown-up. A life sustained by quietude and the energies of tolerance, kindness, courtesy, and acceptance. In a blustery world, it’s courageous to move quietly, claiming few, if any, treasures except one’s solitary dignity. She was not a career woman, hadn’t been to college; she had always worked. Hers were always blue-collar jobs—a Thermos factory before it went bust, cleaning houses, babysitting, taking in washing and sewing. She was a very good seamstress, as was her mother, who had taught her how to sew and to make clothes using inexpensive Simplicity and Vogue patterns. Most recently her job was the cleaning up and helping out, six days a week, seven to seven, at Bonnie’s Beauty Salon on the main street in Ashville. A good three hours from Boston, and at least five hours from New York, Ashville wasn’t a suburb of any city. Its residents relied on the local economy for their living, the stores, the businesses, and Guilford College, one of the oldest in the country. No one had gotten rich in Ashville in decades, but most felt that they were well compensated nonetheless by the lasting Currier & Ives patina of their village, founded in 1649. Here Mrs. Brown was born, an only child. In Ashville she had met and married her late husband. Older by some ten years than she, Jack Brown was a fireman for the Ashville Fire Department. He died fifteen years ago. Heart attack in his sleep. Everyone said it was the best way to go, never sick for a day then, pop—you up and leave this mortal coil. Everyone said Jack Brown had gone easier into his death than anything he’d ever done in his uphill life. Mrs. Brown made do. Financially, emotionally, she made do. As one does. She avoided excesses of any sort—shopping, overeating, drinking, feelings, and lottery tickets. Especially lottery tickets. It wasn’t because she was risk averse, but because lottery tickets were bedazzlements possessed by expectation. Buying them overexcited the ladies at the beauty salon. Customers and employees alike, chattering a mile a minute, screaming to be heard over hair blowers, describing how and where they would spend the money. Then the next day, crashing so low when they didn’t win. Mrs. Brown tried never to let a tear to drop. (Of course tears dropped, in private, late at night, in the morning light when shadows haunt.) If she never expected too much, she’d never be bankrupted by disappointment. This was all very New England of her. Mrs. Brown didn’t have a “bucket list,” and she never shopped to cheer herself up. She had her clothes for years and had made the majority of them—a few pairs of pants—gray, black, brown summer and winter weight—a couple of wool or cotton cardigan sweaters, cotton blouses—and wore them for the duration, repairing them when needed. Sewing cheered her up, and helped restore her universe to order, one concentrated stitch at a time. And although she was good-looking enough—her Yankee slender, high cheekbones and her healthy skin, her hair always clean and brushed—she did not encourage anyone, including the gentlemen, to look. She took care of herself, but never indulged. Even when Mrs. Brown was most tempted, when it would be so lovely not to cook—so wonderful in the dead of winter to walk home after work carrying a warm supper in her hands—she never bought the costly takeaway food from the Village Cheese Shop. No restaurant dining either. She always ate at home, always cooked at home. Mrs. Brown never took vacations. The big cities she had visited were Providence, one hour away, and Hartford, two hours away. As mentioned, she had never been to New York City, although, admittedly, sometimes those advertisements on the television for Broadway musicals were tempting. Who Mrs. Brown was, her vocation if you will, was to be a good person and to live an ordered, simple life. When a student at Guilford College came by Bonnie’s one day doing a survey about women’s rights, she asked Mrs. Brown if she considered herself a feminist. Mrs. Brown smiled and answered that, yes, she did. The college girl seemed surprised. “Liberated not always by circumstances that I’d have chosen for myself,” Mrs. Brown said. “What’s your first name?” the student asked so she could put it on her survey sheet. The college student didn’t know how to respond. “Mrs. ?” She wouldn’t forget Mrs. Brown anytime soon. Keeping grateful was essential to Mrs. Brown. But she didn’t need to write a “gratitude list.” Gratitude was an energy she could summon up on a daily basis, grateful for what she had and for what remained after so many years of the rumble and the tumble. One major contributor to her gratitude was that she owned her own house, a cozy two-unit wood-shingled nest built at the turn of the twentieth century, when Ashville’s mills and factories were thriving. Sure it was just like all the other houses on her street—except this one was hers. She thought it lovely, all she needed or wanted. And because Ashville was built on the steep, mossy banks of the Fogg River, when the leaves fell in autumn, Mrs. Brown could see the slate and brindle–colored river from her second-floor windows. The two-story house was divided into two units. Both units had identically proportioned front rooms, kitchens, a bath, and a bedroom downstairs, and upstairs two more small bedrooms. The units shared a front stoop. Many years ago Mrs. Brown had rented the second unit to Sarah Fox, a widow whose circumstances were similar to Mrs. Brown’s. Except Mrs. Fox’s purview, you might say, was wider. Sarah Fox had been a proud salesperson at the Ashville Bookshop, until it went out of business several years ago. This is where the students from Guilford bought their textbooks until shopping online proved easier for them, and this is where Mrs. Fox, who started working at the bookshop when she was a high school junior, tried to be more than just the local source for the latest potboilers and bodice rippers but also a beacon for the advancement of literature, even the most controversial, dating back to that frigid Saturday morning in 1969 when she insisted bravely to the waspish owner of the store that Mr. Philip Roth’s novel Portnoy’s Complaint should not only be available upon request at the cash register but also displayed proudly in the front window of the store. Mrs. Fox felt it was always important to be up to speed on not just the latest books but also movies, television, and current events. She’d been to New York several times. She longed to go to Paris before she died. But Clara needed her mother’s support. Could Mrs. Fox please come to Vancouver for a few weeks to help, because Clara also worked full-time as the office manager at a cardiologist’s clinic, a great job she was in no financial position to give up. Of course Mrs. Fox could, and she did, but never suspecting that a few weeks would turn into nearly a year. In Mrs. Fox’s place, Clara’s youngest daughter, Alice Danvers, twenty-three, had moved into her grandmother’s home in Ashville. She’d come to help Mrs. Fox pack, and while so doing discovered that there was a teaching position for the second grade at the local grammar school. Alice had majored in education at college back home. Since she hadn’t found a position yet in Vancouver, and she was itching to try living someplace else, Alice applied for the job in Ashville and to her amazement was hired. Would Alice be able to last an entire school year in Ashville? She had some very real doubts. But a job is a job, especially a first job in one’s profession of choice, and the only way to get to your dream job is to start somewhere. Alice accepted the offer to teach in Ashville but with many conflicted feelings. Ashville was, just, so . . . “effing,” one of Alice’s favorite words, quaint and mumsy. It was the complete opposite of where she saw herself living and working. Could she, would she, ever fit in? When her first day of teaching school came, she panicked. Among her chief concerns what the effing hell was she going to wear? She didn’t own any floral prints and corduroy, which she assumed all the teachers would be wearing. Beware of any enterprise that requires new clothes, she’d once read. So she wore what she’d have worn wherever she was. Alice’s teaching uniform consisted of a pair of black jeans, black cotton T-shirts—her favorite said I’LL STOP WEARING BLACK WHEN THEY INVENT A DARKER COLOR in big block letters across the chest—and motorcycle boots. No one at school seemed to mind. Where Mrs. Brown and Mrs. Fox were the same age, born just two months apart and both Ashville natives, Alice and Mrs. Brown were worlds and generations apart. Nevertheless, her grandmother had asked for just one favor when she told Alice she could live in her place rent-free. To please look in on Mrs. Brown daily, and make sure she never felt lonely or neglected. It was the night before Mrs. Fox left for Vancouver. Alice was helping her pack. “Emilia isn’t like the women of your generation,” Mrs. Fox said. She handed Alice a silk scarf with a rose print on it that she hadn’t worn in years, and wasn’t planning to bring to Vancouver. “What? I don’t overshare, Granny,” Alice said, tying the scarf around her neck. It looked very 1950s, and she liked that. It was corny and glamorous. In her all-black wardrobe it would strike a cool note of irony, she thought, especially in quaint Ashville, if anyone here would ever notice and get the message. “Emilia is very private,” Mrs. Fox said. What was her grandmother really talking about? Alice wondered. She kept quiet, and listened. Now whenever she spoke to her grandmother on the phone, which was usually once on the weekend and once midweek, Alice was expected to update Mrs. Fox on how Mrs. Brown was getting along. Meanwhile, Mrs. Fox and Mrs. Brown were communicating by letter, if you can believe people still do that, handwritten letters sometimes as long as three pages each. And, so, a routine emerged for Alice that year in Ashville. As had been her grandmother’s habit most evenings when Mrs. Brown got home from work, Alice sat at the older woman’s table and visited, sometimes eating supper, sometimes not, depending on their appetites, and always sharing the day’s news. This happened not every single night—a woman has a life, even in as small a town as Ashville—but many nights, five out of seven on average—Alice visited with Mrs. Brown. At first she did it because she’d promised her grandmother, but soon enough something about Mrs. Brown’s manner—even if it was sometimes perplexing—also very much appealed to her. The nightly visits, the ongoing narrative, and the reliable exchange of kindness between them became an anchor for Alice. They were different generations for sure, but she came to respect their differences. On many occasions Alice held her tongue—and swallowed the swearing words that otherwise peppered her vocabulary when she was speaking to her peers online or in person. This particular evening in November, more than three months since her move to Ashville, Alice sat at Mrs. Brown’s kitchen table drinking a cup of mint tea, listening to her enthuse about her day off tomorrow, actually two days off because she had worked seven straight in a row last week. Mrs. Brown was very much looking forward to assisting in the inventory taking at Millicent Groton’s house. In fact, she was thrilled. For generations Mrs. Groton’s family had lived in an exquisite Federal-style house in the best part of Ashville. According to an Architectural Digest magazine article that Mrs. Brown had once read at the Ashville Public Library, the house had twenty-two rooms filled with important American furniture and paintings. And for as long as Mrs. Brown could remember—back when she was a little girl walking with her mother from their part of town to the finer section of Ashville for church on Sundays—the house had never failed to glisten behind its massive wrought-iron fence. The mansion was painted white as a heavenly cloud and exuded a halo of gold. It was the most majestic thing she’d ever hope to see. Mrs. Groton’s arrival every July in time for the Ashville Rose Festival—landing in a purl of grandeur like Queen Elizabeth coming home to one of her countryside properties in England—was the high point of the year for Mrs. Brown. Mrs. Brown could not afford to buy an expensive benefit ticket for the opening ceremonies at the rose show—she was content to go two days later, when Ashville was admitted for free. But the afternoon of the opening ceremony, there always was a crowd waiting to see Mrs. Groton and her houseguests. Over the years they had rather famously included the Duchess of Windsor, Gregory Peck, Ginger Rogers, Betty Ford, Nancy Reagan, and Lady Bird Johnson. There were artists and literary people whom she didn’t always recognize, but it didn’t matter. Mrs. Brown trusted that they were all distinguished people. Everyone looked so grand. Shiny people. Sparkling like freshly minted silver dollars. Since she was a schoolgirl, Mrs. Brown had made sure she got to the Rose Festival way ahead of the crowd for a good position up front, so she could watch. Let anyone try to stand in front of her, and she was atypically assertive. For the past few summers, fearing each might be the elderly Mrs. Groton’s last time at the festival, Mrs. Brown had asked Mrs. Fox to please come with her. It embarrassed Mrs. Fox, she was no one’s groupie, but she went along anyway because it seemed so important to her friend. “She’s like a rose herself,” Mrs. Brown had whispered to Mrs. Fox as the frail older woman, Mrs. Groton, assisted by a niece, arrived at the flower show (held on one of the village’s center greens not far from the Groton homestead). As always, even in her nineties, Mrs. Groton was impeccably dressed, wearing a hat and white gloves and three-and-a-half-inch heels. Mrs. Brown took the question personally and was offended on behalf of the deceased. “She never had a face-lift. She just had good skin, that’s all,” she said, stiffly stirring her coffee. Within seconds, though, she forgave Alice. She was coming to love Alice despite the darker, sarcastic view of life she seemed to have, or at least that was the quality expressed in her humor. With age, she expected Alice would soften. Isn’t that what happens? Some people grow older and more cynical. Some people become just the opposite. Life hurts without hope, and cynicism, once a luxury, becomes unaffordable. Alice debated getting into anything akin to an argument tonight. But she wasn’t a proponent of positive thinking. “Ideas that you spread,” Alice said. Why argue? Alice changed the subject, slightly. “I know that, Alice. Really, I do,” said Mrs. Brown. She remembered when she was seven years old. That year at the Rose Festival was the first time she ever saw Mrs. Groton. She didn’t know who it was; she thought Mrs. Groton was Glinda, the good witch in The Wizard of Oz. She was in awe, total awe. She’d seen the film only months before, in its first telecast, in 1956. The beneficence, the light-colored hair, the dress that appeared to sparkle all seemed the same person. Mrs. Brown’s mother, who’d brought her child to the Rose Festival, did nothing to dissuade her daughter. Far better to have your daughter grow up admiring a woman of substance, even one with unattainable wealth, than a flighty starlet somewhere, she figured. Later, before turning off her bedside light for sleep, Mrs. Brown thought more about Mrs. Groton. In the 1950s, especially in small New England towns like Ashville, the most valued lives were those emblematic of honesty, purity, unselfishness, and love. By that standard, Mrs. Groton was a woman of great value and success. People, even those who struggled for their income, forgave her wealth because it was the means by which she lived a rich life of service to her community. Happily, the people of Ashville weren’t wrong in their estimation. As so many around the country, they got to know Mrs. Groton from her published writing. Throughout the 1970s and well into the 1980s, Mrs. Groton wrote a column for one of the popular women’s magazines, dispensing style and manners advice for “women of a certain age,” and sharing her experiences of the world. Mrs. Brown looked forward to the twentieth of every month, give or take a few days, when she would receive in her mail the latest issue of the magazine. If you can’t afford to shop this year, by all means celebrate nonetheless. Write letters to everyone on your list and tell them how and why you appreciate them, especially this year. Be specific. Cite examples. And this advice isn’t just for women whose budgets preclude shopping. It’s also for women who shop at the holiday, and maybe shop too much. Especially to children and grandchildren, let your note, even more than your present, be the real gift. Why not? If it is written from your heart, it’s a keeper, and far more lasting than the pair of new gloves soon lost in a taxi. Even though the people, places, and things described were not of Mrs. Brown’s experience, she identified with the feelings in Mrs. Groton’s columns. And the column Mrs. Groton wrote about her housekeeper in New York, the mother of a soldier who was killed in Vietnam. “When a child dies, not just all mothers, but all women, become one in grief,” Mrs. Groton wrote. Everyone in Ashville understood. Mrs. Groton’s only child, her son, David, had been killed in the Vietnam War the year before. Of that, she never wrote, but the depth of her feelings, and her courage, was never doubted. David’s memorial service was held at St. James’ Church in New York, but he was buried in Ashville. There were a few people left, now of a certain age, including Mrs. Brown, who never forgot the hearse down Main Street the autumn day he was put to rest, the crackling sounds of the car’s slow wheels on dry October leaves, and seeing Mrs. Groton through the window, having chosen to ride with David rather than in a separate car. Her gloved hand on the flag on his coffin; keeping it in place, holding on. This reading group guide for My Mrs. Brown includes an introduction, discussion questions, ideas for enhancing your book club, and a Q&A with author William Norwich. The suggested questions are intended to help your reading group find new and interesting angles and topics for your discussion. We hope that these ideas will enrich your conversation and increase your enjoyment of the book. Emilia Brown is a hardworking widow who makes a modest living cleaning at Bonnie’s Beauty Salon in Ashville, Rhode Island. Quiet by nature, she has known her share of sorrows and persevered. When she offers to assist with the inventory of the estate of a local grande dame, Mrs. Brown discovers a dress that changes her life forever. It isn’t some frothy confection but rather a simple yet exquisitely tailored Oscar de la Renta black sheath and jacket. From the moment Mrs. Brown sees the dress, she is possessed by the desire to purchase one for herself. Thus begins Mrs. Brown’s challenge to save enough money to be able to travel to New York City and buy the dress. She is helped by two wonderful women: Alice, her twenty-three-year-old next-door neighbor, and Rachel, the public relations executive who befriends her in New York. As Mrs. Brown navigates the path to her dress, the motivation for her quest unfolds, and the dignity and devotion of her deeply personal mission becomes clear. 1. “She was sixty-six years old, a widow; if she was a scent, she was tea with honey, but if she was a color, she was a study in gray.” How does this description of Mrs. Emilia Brown evoke her distinctive sense of fashion? What dictates Mrs. Brown’s stylistic choices, and how do they reflect her character? 2. How does the arrival of Alice Danvers, Emilia’s new next-door neighbor, change her everyday routine? How do their different personalities complement each other? What accounts for the unusual closeness of their bond? How does Alice’s presence enable Emilia to pursue her dream of owning the perfect dress? 3. Given the vast differences between them in terms of status, wealth, and influence, why does Emilia Brown feel a special kinship with Millicent Groton? 4. Describe the fictional village of Ashville, Rhode Island. What do the rituals of its citizens suggest about its character as a community? To what extent does Mrs. Brown’s journey from Ashville to New York City serve as a coming-of-age narrative, in which she sets out as an innocent country mouse who gains experience through her quest for her perfect dress in the city? 5. Describe the black Oscar de la Renta dress that Mrs. Brown admires in Millicent Groton’s closet. Why does Emilia respond to the dress with such intensity? To what extent does her decision to save up enough money to buy the same dress seem in keeping with her nature? 6. In her praise of Queen Elizabeth, Mrs. Groton’s former personal assistant, Rachel Ames, remarks on “everything she represents: decorum, civility, constraint, consistency, endurance, duty, service, faith, hope.” To what extent are these character traits values of an earlier time, and to what extent are they appreciated in contemporary culture? Why might these values appeal to Mrs. Brown? To what extent do they appeal to Rachel Ames? 7. How would you describe the employees at Bonnie’s Beauty Salon? Why are Hillie, Georgie, and Francie so dismissive of Mrs. Brown? How do their feelings compare to Bonnie’s? How does Mrs. Brown’s unwillingness to engage with their negativity relate to her religious beliefs? 8. “If God wants me to win the lottery, then one ticket would be enough. Buying more than one shows him that I lack faith, and without faith . . . no one is going to win anything except disappointment.” Discuss the various instances of divine intervention—or remarkably good fortune—that Mrs. Brown experiences on her way to acquiring her dress. Consider the roles of Rachel Ames, Florida Noble, and Oscar de la Renta. 9. 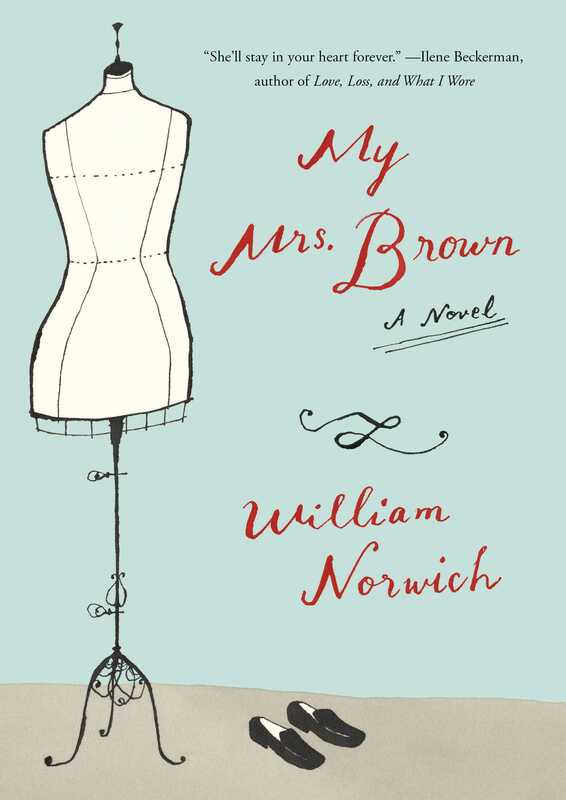 Three of the young, unmarried women in the novel—Alice Danvers, Rachel Ames, and Florida Noble—think of Emilia Brown as “my Mrs. Brown.” How does Mrs. Brown’s presence change their lives for the better? To what extent do their relationships with Mrs. Brown fall into a classic mother/daughter dynamic? How do her connections with these young women affect Mrs. Brown? 10. How does the conclusion of the novel, and the revelation of Mrs. Brown’s reason for wanting the dress, enable you to understand Emilia Brown’s character more fully? 1. The dress Mrs. Brown falls in love with isn’t the most glamorous, the sexiest, or even the most beautiful; she describes it as “a garment so regal . . . so exquisitely tailored and . . . thoroughly reassuring.” Members of your book club may want to share their experiences with clothes that have changed the way they think about themselves, or garments that have been otherwise transformative. Consider asking members of your club to describe a significant outfit they purchased for themselves or the most expensive they have ever purchased. Encourage your group to think about clothing they wore in childhood, adolescence, and adulthood. They may want to consider if these garments carry the same sort of emotional resonance for them that Mrs. Brown’s dress does for her. 2. In My Mrs. Brown, a series of celebrities excites adulation: Millicent Groton fascinates and awes Mrs. Brown; all Ashville goes into a frenzy over the presence of supermodel Florida Noble; and Oscar de la Renta is an international fashion icon who demonstrates extraordinary kindness toward Mrs. Brown. Have members of your group discuss the phenomenon of celebrity culture. Why do so many people revere celebrities and aspire to be like them? Members of your group may want to discuss the phenomenon of celebrity gossip magazines, and how paparazzi, reality television, and social media have altered the cultural landscape on what sorts of private information is fair game for public consumption. Members of your group may want to consider the intersection of fashion and celebrity in My Mrs. Brown, and examine how those two themes affect their own fashion choices and lives. As a journalist who has covered the fashion industry for decades, you are intimately acquainted with the dynamics of its evanescent, high-intensity, flashy culture. How did you decide to focus your narrative on Emilia Brown, who embodies the opposite of fashion in many respects? At first, it was purely a matter of “what if.” By which I mean, the idea for Emilia Brown came to me when, almost seven years ago now, I read Paul Gallico’s 1958 novel Mrs. ’Arris Goes to Paris for the first time. I found it in a secondhand bookshop. Mrs. ’Arris is a London charwoman. It’s the years after World War II, the deprivations and rationings of London during the war are ended, and the sight of anything colorful is a revelation. The revelation in Mrs. ’Arris’s case is this exquisite bouquet in the form of a Christian Dior couture evening dress, “an explosion in crimson satin and taffeta,” that she sees in the wardrobe of someone she cleans for. Mrs. ’Arris decides that somehow, someway she will have just such a dress for herself. She journeys to Paris, to Dior. I loved the story and I kept thinking, if that was now, and Mrs. ’Arris lived in America today, what would that dress be, what style? It came to me. It would be the antithesis of the red-carpet Cinderella dresses we see at awards ceremonies, black-tie galas, and on Real Housewives television shows. It would be a suit. It would be the experience of fine tailoring. It would be something that a woman of Mrs. Brown’s means and circumstances could wear in a boardroom—the opposite of party dressing, and the relief from Cinderella clothing. And so Mrs. Brown and Mrs. Brown’s dress took hold in my imagination. I know it sounds corny, but soon after all this came to my mind, the character of Mrs. Brown came and filled my heart. Working at night and on weekends, I sat down to write and she came through and she told her story, which is the story you read in the novel My Mrs. Brown. I debated who the designer of Mrs. Brown’s dress suit would be. I considered several, but very soon it became clear to me there was only one choice and that was Oscar de la Renta. Nancy Reagan, Laura Bush, Hillary Clinton, Barbara Walters, and Brooke Astor all owned dress suits very similar to the one Mrs. Brown would seek and they were tailored by Oscar de la Renta. Mrs. Brown has suffered loss in her life—the death of her alcoholic husband, the untimely death of her son, the casual cruelty of her coworkers and others who think she is unworthy of their respect and attention. To what extent did you want her to be an Everywoman of sorts? I very much wanted Mrs. Brown to be an Everywoman. I also wanted her to express that part of every person who struggles to keep to the high road, who suffers loss; who has been bullied by people; known sadness, depression, disappointment, and grief; and has been worn down by lack of money, and nonetheless, somehow, someway carried on with dignity. Not just keeping their faith but in the process increasing their faith, whether their belief is in a religious god or in a secular, universal goodness. And it’s not easy. Not easy at all, is it? But for people who do, keeping the faith is the source of their true self-esteem and inspires their belief in kindness and courtesy as the way to live and the way to meet every challenge. As a man, at any point did you feel intimidated by the prospect of writing a book centered on the emotional significance of a special dress for a woman? Yes. A lot of the time I felt, How dare I? But I prayed that I was representing and re-creating what I’d observed over the years. It’s one of the blessings of being a writer. If you keep your ears open, you learn from the people you write about and when it is time to tell their story, you become their channel. I’ve written about clothing and grooming and style and making a home for oneself and one’s family for a lot of years now and for a lot of publications. As a result, I’ve had a lot of feedback from women. I tried to access that when I was writing My Mrs. Brown. Do you think there is a corresponding garment that carries special significance for men as dresses do for women? If so, what would it be? Not exactly but close. I don’t think men suffer the same amount of propaganda that women do about what they should wear and how they should look and how they should stay young. But for men, the corresponding garment would also be a well-tailored suit. Pulling one inward and upward. How did you decide to select Oscar de la Renta’s dress as the specific garment that appeals to Mrs. Brown? Could it have been a dress by any other designer? Why or why not? I debated whether I should cite a real designer or create a fictional label. Fashion being fashion, styles change and I worried that if someone went to buy Mrs. Brown’s dress, it wouldn’t exist, not exactly as described. And I didn’t want anyone to think I wrote this book in any way shape or form as a commission from a designer. (The Oscar de la Renta people read the book only when it was completed, and we do not have any financial relationship.) I knew the designer had to be American—because Mrs. Brown wasn’t going to go to Paris, she was going to come to New York, the most industrious city in the world as opposed to the most romantic. She could have shopped at Chanel in New York, where they always have wonderful dress suits, or also at Versace, which may surprise some people who think of the label as being only va-voom. I thought of Michael Kors for a while. First Lady Michelle Obama wore one of Michael’s fitted black dresses in her first official White House photograph. But I realized there was only one designer for Mrs. Brown, and it was Oscar de la Renta. The friendships Mrs. Brown develops with Alice, Florida, and Rachel are unexpected in part because of their differences in age, temperament, and interests. To what extent did you intend a maternal dimension to Mrs. Brown’s connections with these younger women? I didn’t want her to mother them as much as I wanted the younger women to connect to the maternal in Mrs. Brown and then relate to those maternal qualities in themselves. To identify with and to see that they, too, shared the spirit of kindness, courtesy, patience, strength, courage, and hope that Mrs. Brown is so rich in—Mrs. Brown’s wealth if you will. I wanted Mrs. Brown to be an aspirational figure for the younger women. And when each of these women identifies her as such, it’s a sign of maturity and sensitivity in their own character. Seeing beyond surfaces. Why did you decide to make Mrs. Brown’s experiences and encounters on her journey to New York City culminate in a perfect day of sorts? Because there are so few perfect days, and as Mrs. Brown filled my heart, and the better I got to know her, as her story started to come through clearly to me, it was my prayer for her that she have a perfect day with all the blessings and kindness she deserved. Who do you envision as the ideal reader of your novel and why? Anyone who would enjoy a story where kindness and courtesy are the solution to all their problems. And women who are fed up with not finding anything they can really wear when they go shopping for new clothes. And even a third category—I hope there will be men who read My Mrs. Brown and will enjoy getting to know her and maybe, as a result, have a better understanding of the women in their lives. You chose to leave the motivation for Emilia Brown’s purchase of her dress until the conclusion of the novel. Why did you decide to leave this revelation for the end of the book? I thought that some readers would be surprised by this reveal at the end, and I know as a reader I like a surprise at the end. I also thought that maybe some people might pick up on the few hints in the story along the way, and they wouldn’t want to have their guessing ended too soon. And because, for Mrs. Brown even after she gets her dress, it takes a few months before she is ready to wear it. Is there an actual dress that you used as your inspiration for Mrs. Brown’s dress? What advice would you give to readers who long to find “correct” dresses for themselves, but don’t have the means or access to haute couture? A. Whether it was my mother back in the day; the images of Jacqueline Kennedy in the black dress suit she wore to mourn President Kennedy; the sophisticated president of a college I attended who wore her black dress suit with a sable stole and a gold charm bracelet so you could hear her coming, announcing her arrival before she actually got there; all the first ladies; Brooke Astor, Queen Elizabeth . . . there’s that black dress suit they all have owned and worn when the occasion required elegance and correctness. Not so much one dress I could put on a mannequin as much as one style that’s never gone out of style, the dress suit, this uniform of perfection—suit up and show up. And what advice for the women who don’t have the means or access to haute couture but who long for a dress as correct as Mrs. Brown’s? I think buying something “gently worn” is great or buying something akin to Mrs. Brown’s dress and bringing it to a tailor to be enhanced and reinforced is a very good option. The trick to buying something off-the-rack and moderately priced is to buy it in a size that isn’t too tight. Something tight fitting will show the compromises of fabrications of any garment, whereas a loser fit will be more forgiving. Even if you don’t see clothing by these labels in the editorial pages of the fashion magazines, or extolled on fashion websites and blogs, or worn on red carpets, great clothes exist at decent prices. Mrs. Brown’s dress isn’t a call to shopping, that’s not my intention. It’s a metaphor for a mission. Sometimes a dress isn’t just a dress. The novel discusses the idea that style is an intervention. What does that mean? The short answer is: “feeling blue, wear red,” which was the philosophy of a fashion designer named Pauline Trigère. Ms. Trigère brought the house down at a fashion industry awards ceremony about twenty years ago when she accepted her lifetime achievement award by offering the audience that advice. My whole childhood my mother struggled with health challenges. Even if she shopped, there was very little chance she might actually get to wear the new clothes. But the conversation, the looking in the newspapers and the magazines at new fashions, maybe sometimes a new perfume, or lipstick, or getting her hair done, lifted her spirits. It was an intervention, a healthful, hopeful one. "I read this from cover to cover in a day. What a wonderfully written, beautiful story. When did we all become so noisy and important? Thanks @williamnorwich, for reminding us what real manners really stand for." "Quietly extraordinary....considering a literary market that hungers for women who kill and men who cheat, what Billy Norwich has done is different and courageous. 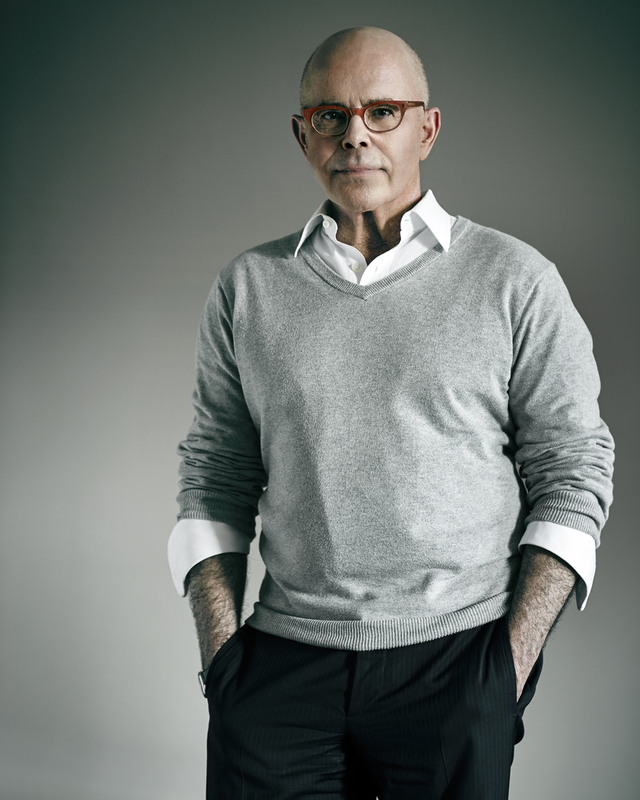 And he's done it so quietly and stylishly that his novel is impossible to overlook."